First Hill developed as a prime residential area of mansions in the 1890s, but by the early 20th century numerous institutions (hospitals and schools), apartment buildings and hotels were built in the attractive area convenient to downtown. 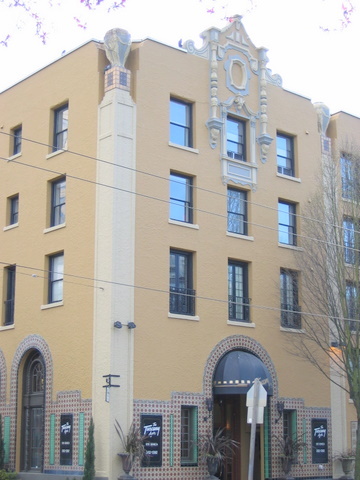 Among the residential hotels was the Piedmont Residential Hotel, which was built in 1926 at 1109 Summit Avenue. Two years later the Piedmont Apartment Hotel was added next door at 1215 Seneca Street, providing a total of 112 hotel rooms and thirty apartments. Both buildings were designed by Daniel Huntington, the second one during his partnership with Arch Torbitt. The building was purchased in 1963 by the Salvation Army and operated as the Evangeline Young Women's Residence. 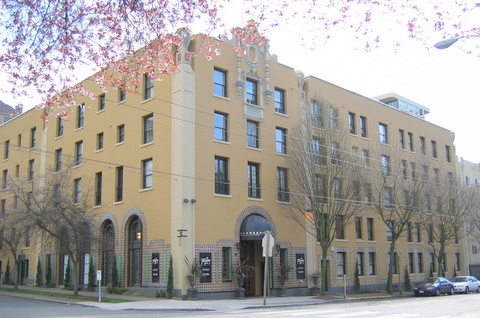 It has since been renovated as the Tuscany Apartments. The hotel dining room remains, and is used by the nearby Northwest School. 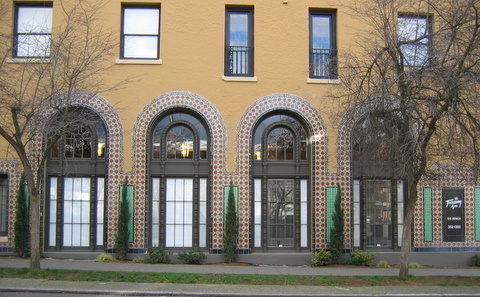 The building is stylisticaly unique in the First Hill area, with exuberant colored tile and elegant ornament. Daniel Huntington, one of Seattle's most prominent architects, was originally from New York, but began his architectural career in Denver in 1889. After work in New York and again in Denver, he arrived in Seattle about 1904 and in 1907 formed a partnership with James Schack. He later worked with Carl Gould and Arthur Loveless, designing numerous residences and commercial buildings with each firm. His most important role was as City of Seattle architect from 1912 until 1921, during which period he designed the Lake Union Steam Plant and at least ten fire stations and libraries, many of which are designated landmarks. He later became known for apartments, schools and institutional buildings. 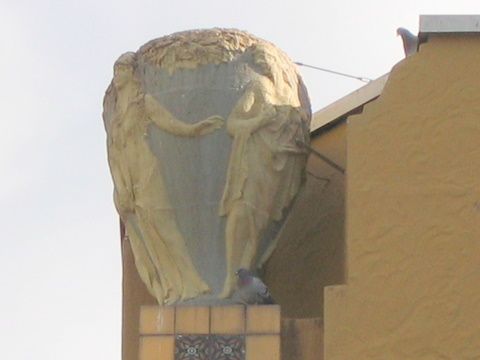 During the 1920s he formed the partnership with Arch Torbitt, with whom he designed the Piedmont Hotel. This L-shaped building sits at the southwest corner of Seneca Street and Summit Avenue, facing north. The building has a Spanish Colonial Revival appearance with a Moorish flavor, derived from the stuccoed walls and colorful ceramic tile around the ground floor doors and windows. The building's appearance is of three separate rectangular buildings, one at the corner with another on either side, with linkages provided by nearly full-height engaged piers. Stone urns decorated with draped female figures top these piers and the corners. Centered at the roofline of the principal north elevation of the corner building is a highly ornamented curvilinear gable, simulating the Spanish Colonial bell tower form. At the first story of this elevation, two shorter windows flank a tall recessed arched entryway. A series of four arched windows line the first story of the east elevation and light a two-story corner lobby, which retains many of its original features, including carved and painted ceiling beams. While some of the original leaded glass windows remain, most of the wooden double-hung window sash have been replaced. Several of the wrought iron balconies, which adorn the east and north elevations, are missing. Otherwise, the structure has good integrity. Sound Transit, Historic and Archaeological Report, Draft Environmental Impact Statement, 1998.